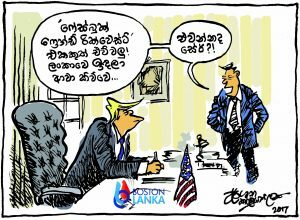 The Boston Lanka is the premier US based Sri Lankan owned media network that serves the entire Sri Lankan community in USA and beyond. Boston Lanka strives to be an independent, unbiased and objective media outlet. It makes every effort to be the most accurate, most thorough and most interesting source of news and analysis and to adhere to the professional ethical standards of media reporting. Within 7 years, Boston Lanka grew from a news network to a multimedia company with a web based TV channel, 24 hour web based radio station and an online magazine as well as a production house. The Boston Lanka Head office is in Boston, Massachusetts and its marketing office is in New York. It has satellite offices in Sri Lanka and Melbourne. It is our goal to utilize the best resources in USA in order to deliver products of unparalleled quality. Our market is a rapidly growing demographic in the United States and beyond, and we are expanding accordingly. – Started a Music label – ‘Boston Lanka Music’. -Media Sponsor for many major Sri Lankan entertainment events in USA.